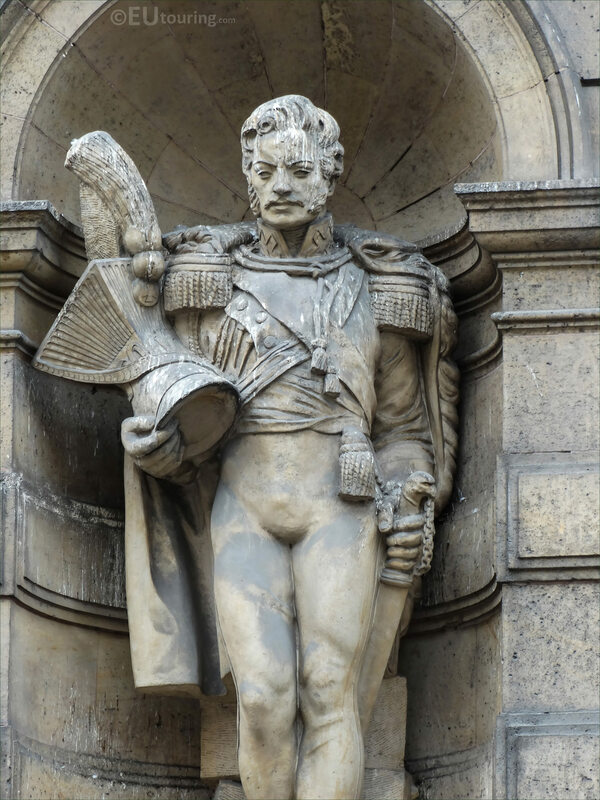 We were at the Musee du Louvre in the 1st Arrondissement of Paris when we took these high definition photos showing a statue depicting Jozef Poniatowski, which was sculpted by Philippe Besnard. When you look at the exterior of the Louvre along the Rue de Rivoli, you will see that there are numerous statues of military leaders, generals and Marshals of France depicted within the niches on the Aile de Rohan-Rivoli. This first HD photo depicts Jozef Poniatowski, who was born in Vienna, Austria in 1763 with a full name and title of Prince Jozef Antoni Poniatowski. Jozef Poniatowski was a nephew of King Stanislaw II Augustus, so hence his title, and initially his military career began in the Austrian army, where he rose through the ranks, then joined the Polish army leading forces fighting a victorious battle at the Battle of Zielence. 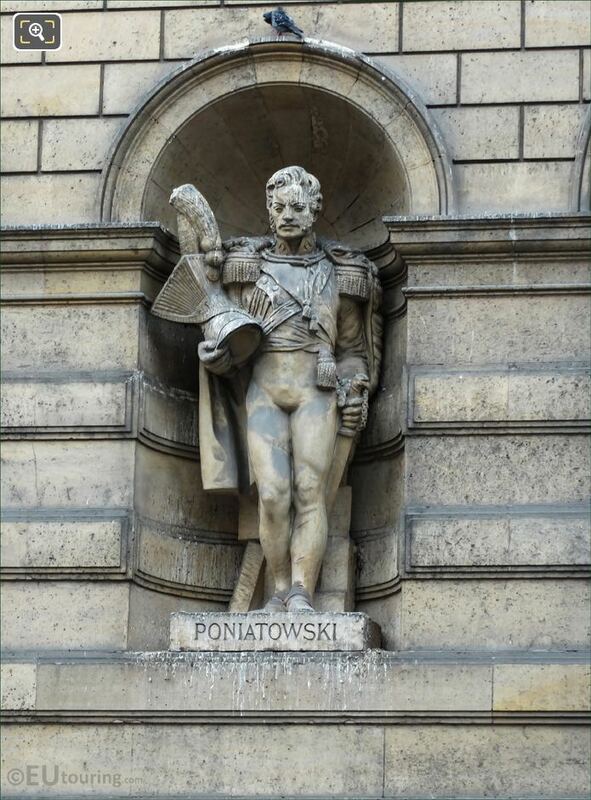 Yet resigning to due conflicts of interest, Prince Jozef Antoni Poniatowski participated in an uprising defending Warsaw, becoming a commander during the Austro-Polish War, with the Polish being victorious, and being a close aid to Napoleon Bonaparte he voluntarily took part in the French invasion of Russia, but had to resign from his command due to injuries and returned to Warsaw. So in these photos you can see Prince Jozef in his military uniform, and it was after he went back to service, while enjoying breakfast with Joachim Murat they were surprised by the enemy. 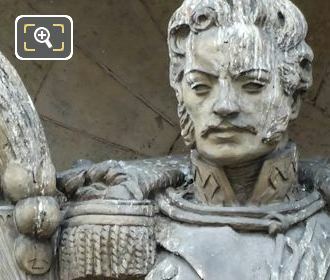 Having got on his horse and broke through the army to come back with a cavalry charge, Prince Jozef Antoni Pniatowski was rewarded by being awarded a title of Marshal of the Empire by Napoleon Bonaparte. From this he was entrusted with aiding the retreat of the French army from Leipzig, but unfortunately was badly wounded and drowned in a river on 19th October 1813. 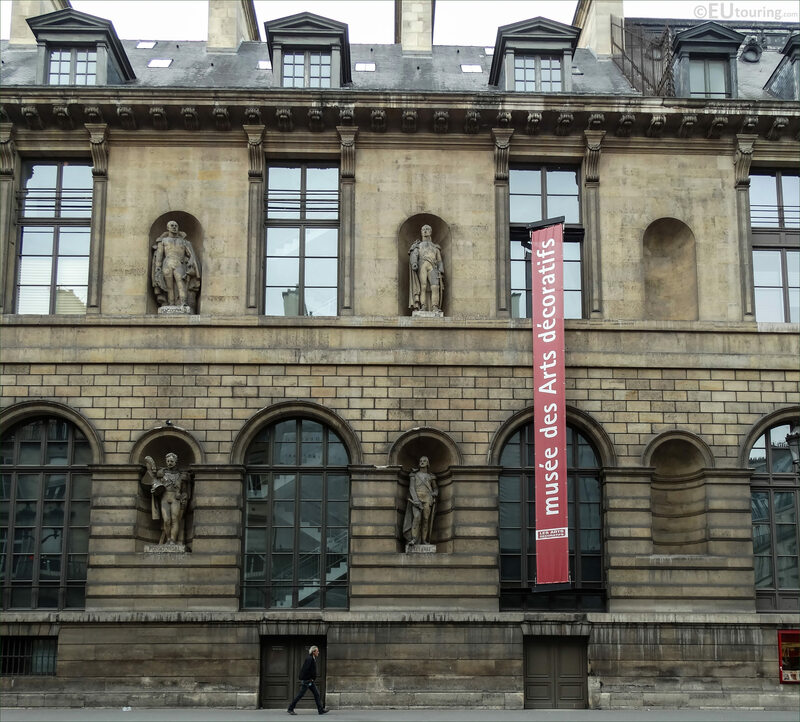 This is why he was one of the prominent figures chosen to be represented on this particular wing of the Musee du Louvre, called the Aile de Rohan-Rivoli, and located in a niche on the ground floor level, the sculptor chose for the task was Philippe Besnard. Philippe Besnard was born in Paris in 1885 to the son of a painter who wanted him to study agriculture, send him to schools specific to this, yet Philippe had a passion for art, initially learning to sculpt with his mother. He eventually managed to take classes in Rome with Henri Bouchard, then just like his mother had, Philippe Besnard was able to gain advice and guidance from the famous sculptor Auguste Rodin. Eventually, having a career as a sculptor, he was appointed the Legion of Honour for his work, and married the daughter of a sculptor called Felix Desgranges who had studied under Antoine Bourdelle.